Note: No ‘A’ on title page. Also, later state books include a 3rd line at bottom of title page with copyright 1948. 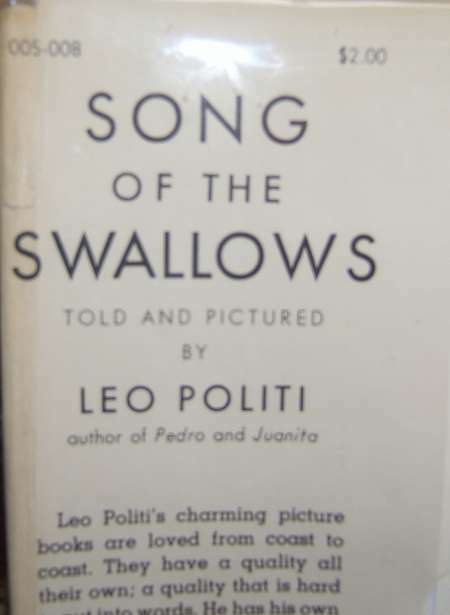 I have a copy of “Song of the Swallows” It has a copywright date of 1949. It also has an inscription on the inside. It is also signed with a date. I can only make out 19 9. The third number is not clear to me. It is signed by Leo Politi. Any information you can provide will be greatly appreciated. 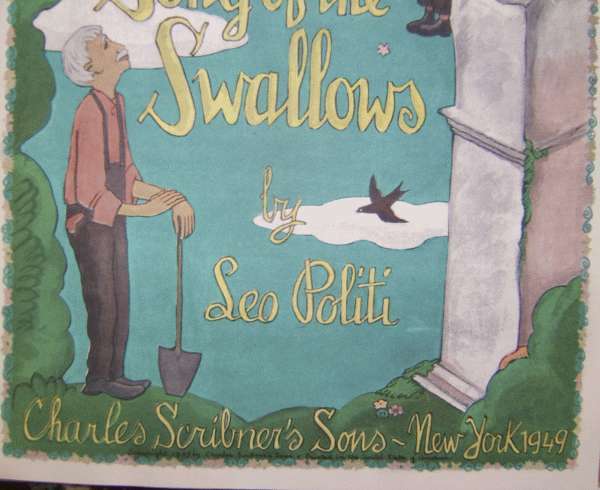 The inscription says To dear Becky Merry Christmas Leo Politi. It also has a hand drawn swallow and flowers.